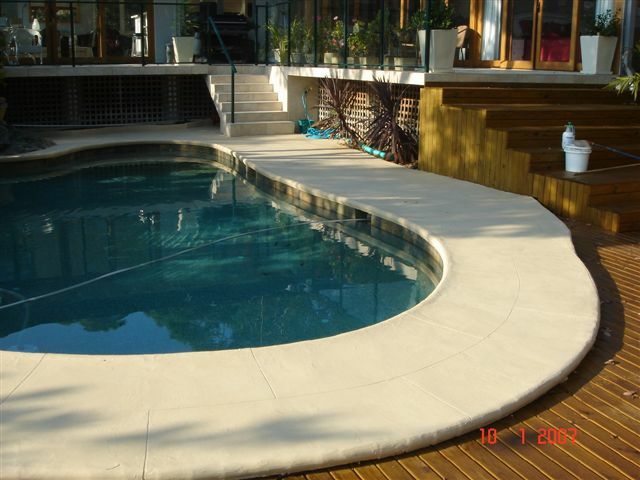 Fibreglass pools consist of in simple terms a coloured gel coat, over a core composed of resin and fibreglass matting. (Fiberglass (also called fibreglass and glass fibre) is material made from extremely fine fibers of glass. It is used as a reinforcing agent for many polymer products; the resulting composite material, properly known as fiber-reinforced polymer (FRP) or glass-reinforced plastic (GRP), is called “fiberglass” in popular usage.) 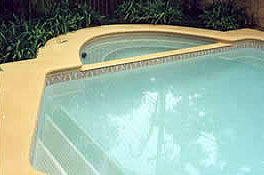 Generally you don’t see any thing other the gel coat which is on the inside and top of any pool. It does a great job in providing a decorative, hard wearing and water proof finish. However it does wear / oxidise away. 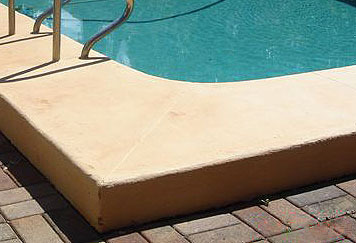 If you see brown areas in your pool, then it’s a sign that the protective gel coat is worn away and may be letting water into the underlying structure. This is not good as the fibreglass can then start to rot and you lose structural integrity within your pool. 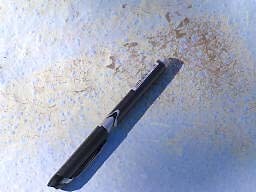 It may need re fibreglassing before up grading and protecting using Epotec. Contact us if not sure.